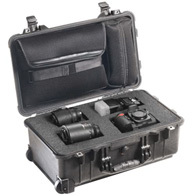 The Pelican™ 1450 Case features roomy accommodation for your electronic equipment, cameras, and more with Pick N Pluck™ foam, dividers and other accessories. 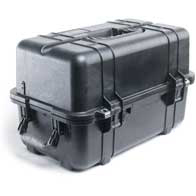 Meets airline carry-on regulations. 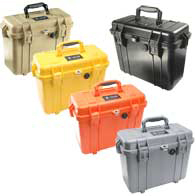 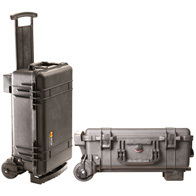 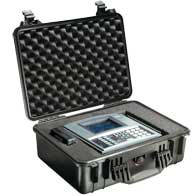 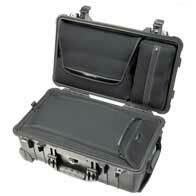 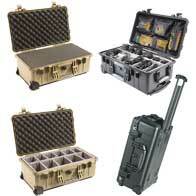 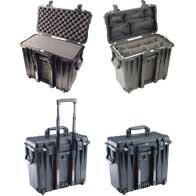 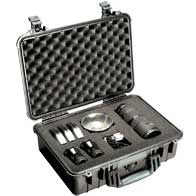 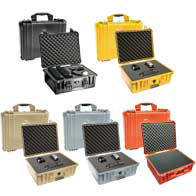 The Pelican™ 1460 Case features ability to open top lid to 180° for on-the-field anti-roll stability for your electronic equipment, cameras, and more with Pick N Pluck™ foam, dividers, organizers and other options. 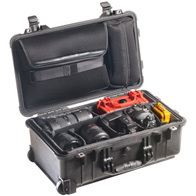 The Pelican™ 1500 Case features roomy accommodation for your electronic equipment, cameras, and more with Pick N Pluck™ foam, dividers, organizers and other options. 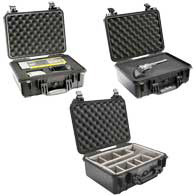 The Pelican™ 1510LOC Case with luggage insert and a detachable laptop sleeve and accessories pouch in the lid provides spacious accommodation for your needs, versatility and extra protection.